Kathy Castor is the Tampa Bay area’s voice in the U.S. Congress. She is serving her fourth term and represents Florida’s 14th Congressional district, which includes Tampa, St. Petersburg and parts of Hillsborough and Pinellas counties. She was originally elected in 2006 and re-elected by voters in 2008, 2010 and 2012. 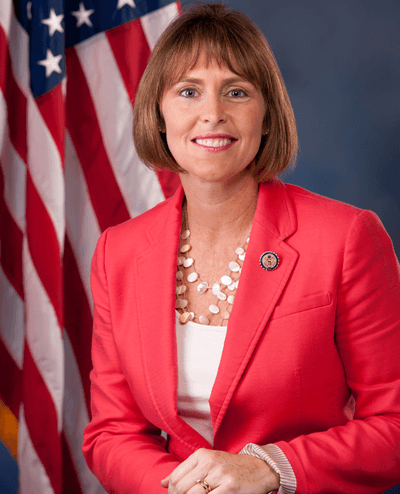 Castor is the first woman to represent Hillsborough and Pinellas counties in the U.S. Congress. Castor focuses on issues vital to Tampa Bay area families and businesses and is committed to building a stronger economy. She works on initiatives that create jobs, improve schools, provide access to affordable health care, and protect consumers and the environment. Castor is an outspoken advocate on behalf of the hardworking families, students and seniors of the Tampa Bay region. She successfully worked to raise the minimum wage, cut taxes for middle-class families, increase the amount of Pell grants for students, improve Medicare and extend unemployment benefits. She hosted six foreclosure prevention workshops designed to help homeowners stay in their homes. In 2008, Castor successfully passed a new law that permits college students and their families to remain eligible for student loans during times of dispute with insurance companies over medical bills.